Just when I get used to being at home, sure enough another swell is set to hit Hawaii where “The Sunset Pro” SUP big wave event was on call to start the next weekend. 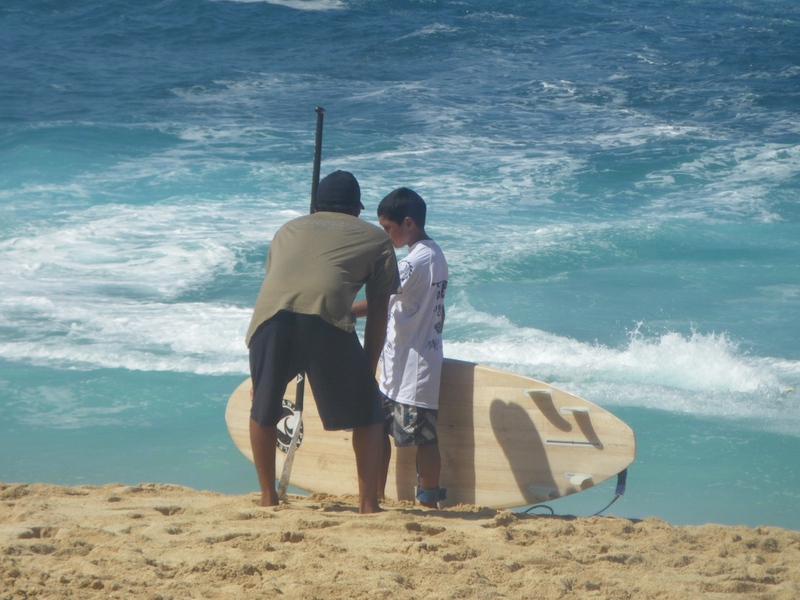 I pack a couple 9’9 Hobie SUP mini guns and a duffle bag full of gear to stay for 10 days and made arrangements to stay with my good friend Sean Jenson and his family on the North shore. Leaving my family for more then a couple days is always hard, but I’m very fortunate to have a strong understanding wife that makes it easy for me to stay focused and do these last minute adventures while holding down the home front. 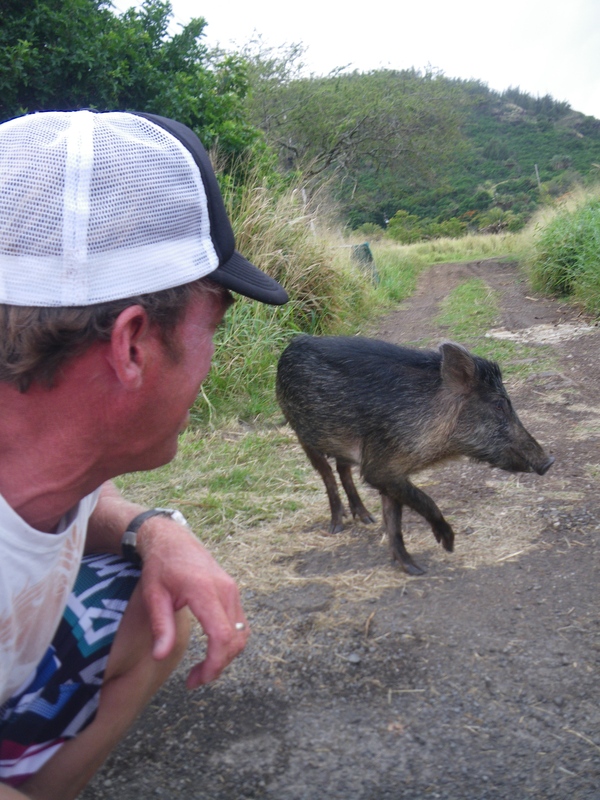 Blane Chambers showing me his training secrets to riding Hawaiian Juice. 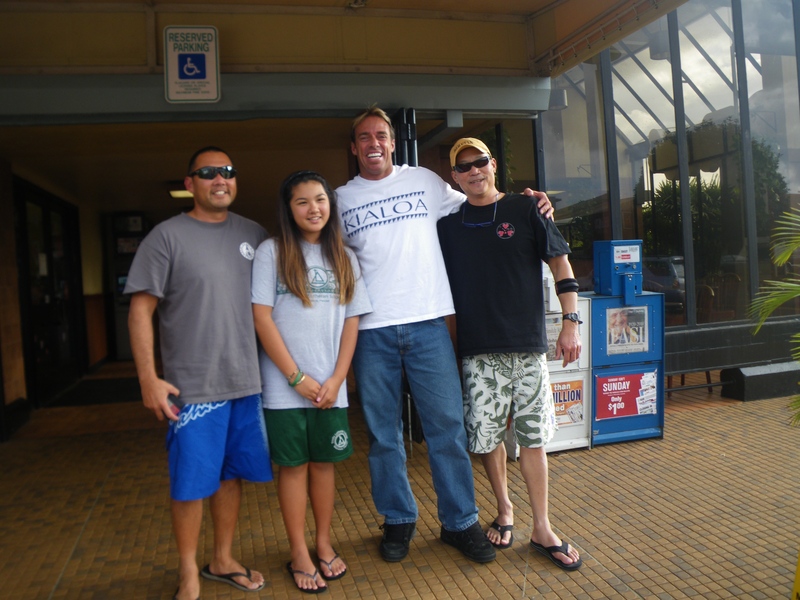 Blane and his daughter and Dave Chun, full bellies and happy..
A quick 5.5 hour flight to Oahu and I meet up with Dave and Meg Chun from Kialoa paddles and Blane Chambers of paddle Surf Hawaii SUP boards for a nice local style lunch and a couple laughs. Early the next morning l paddled out for a couple hours at Sunset to get my boards dialed before the trials event started later that day. “The Sunset Pro” SUP trials were blessed with 8′-10′ ft glassy perfection. It was pretty impressive to see all the different styles of big wave riding and how the new young generation is really pushing the sport. 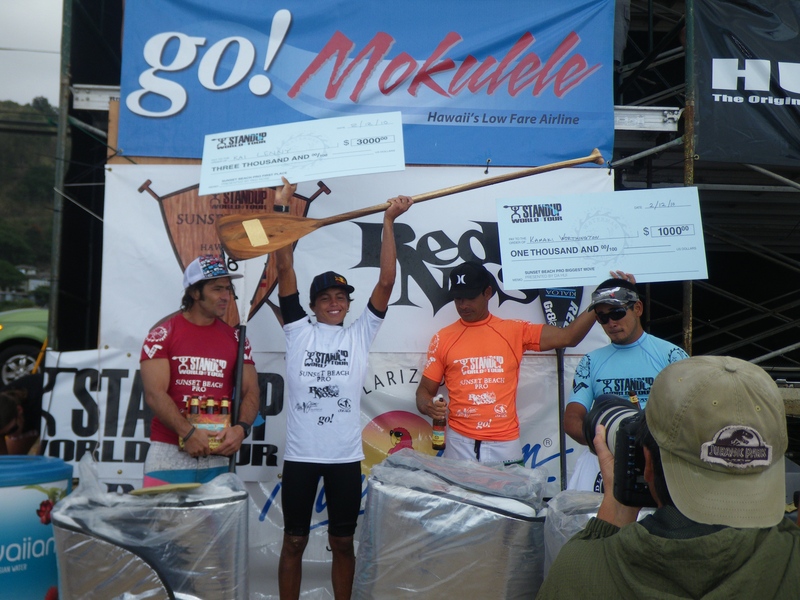 The clear stand outs of the event were 17 year old Kai Lenny, 12 year old Riggs Napolean and 15 year old Slater Trout who won the trials. After the event finished mid afternoon, several of us paddled out for another super fun session till dark. 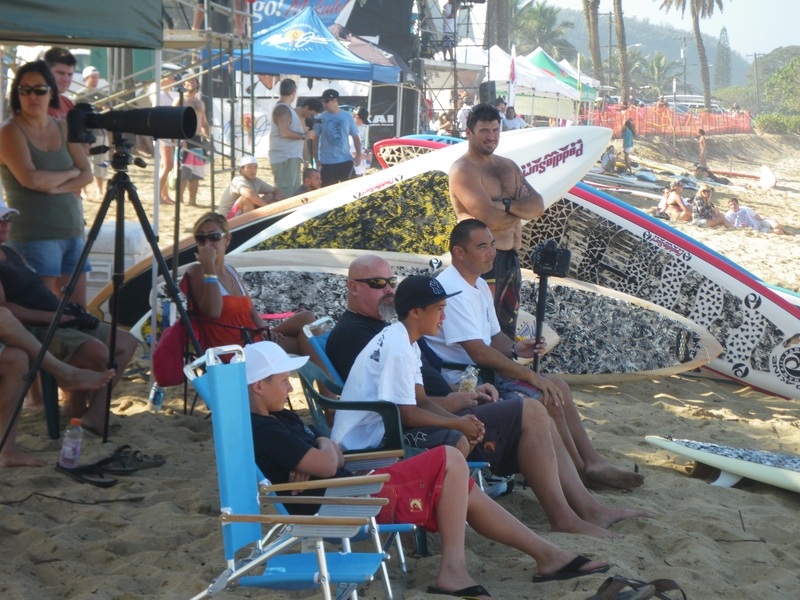 Aaron Napolean giving words of encouragement to his son, Riggs who stole the show"
Casey Trout and the Paddle Surf Hawaii crew watching as Slater wins his last heat of the day. 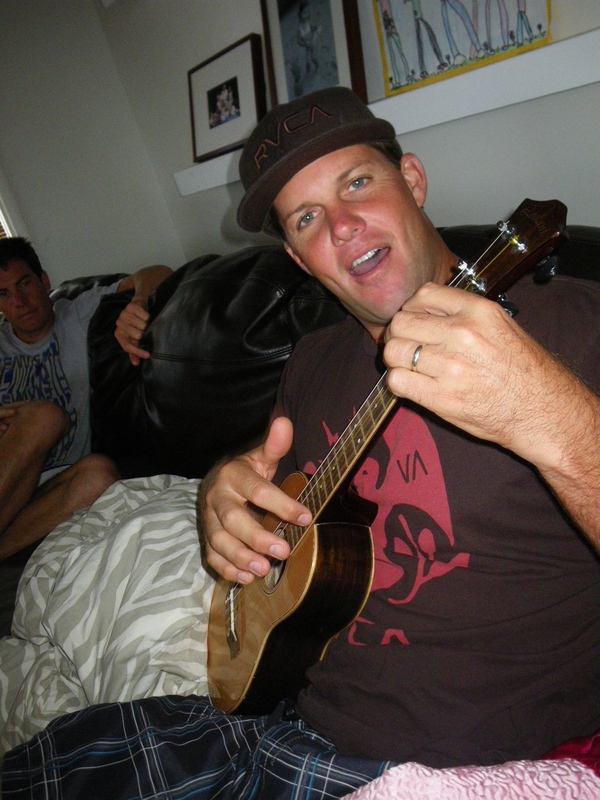 Up early with the roosters for another great clean 8’ft morning SUP session at Sunset with Robby Naish, Dave Kalama and kai Lenny. We all shared some fun waves all morning and as the late morning crowd thickened we respectfully paddled in for some food. 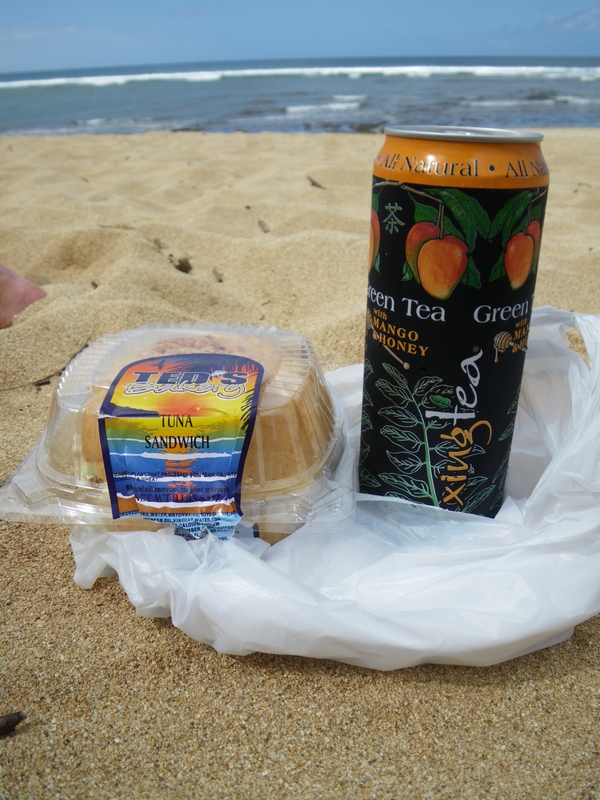 My favorite thing to do when I’m hungry, is ride my bike to Teds Bakery and get a tuna sandwhich, drink and a chocolate Haupia pie for desert and kick it on the beach while checking the surf. While waiting for the new swell to arrive, I kept myself busy, paddling every morning and afternoon, went for mountain bike rides, swam, body surfed and and ran the beach every day. I even got to join Bonga Perkins and Billy Watson and a friend and paddle the 4 man outrigger (surf canoe) into a couple waves at Sunset and cammy’s. You have to take advantage of the warm tropical weather, when your in a wetsuit all Winter at home. 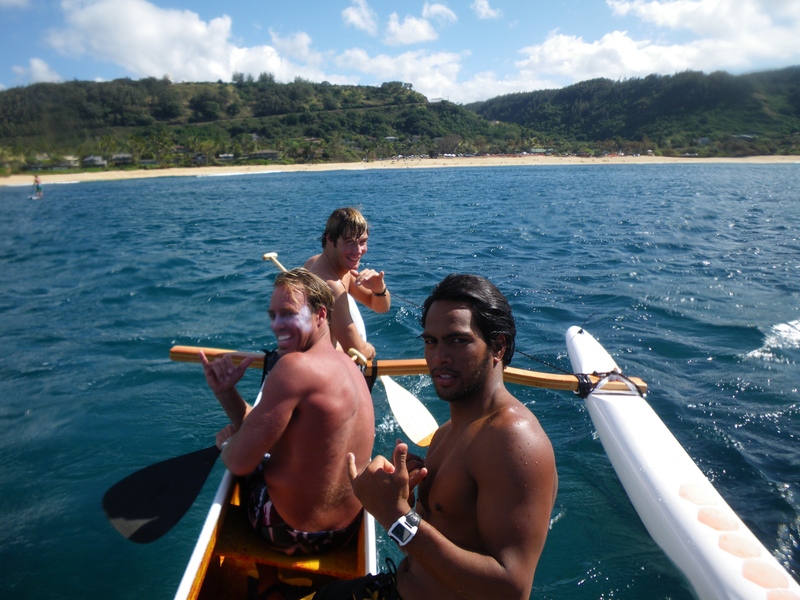 Always good fun paddling the 4 man canoe in the surf with the boys. Thanks Bonga..
enjoying the view above Sunset and backyards after a good mountain bike ride. A view of small Sunset from the hill. finally the swell started to fill in Tuesday evening and by Wednesday morning Sunset was 15′-18′ ft and almost closing out. 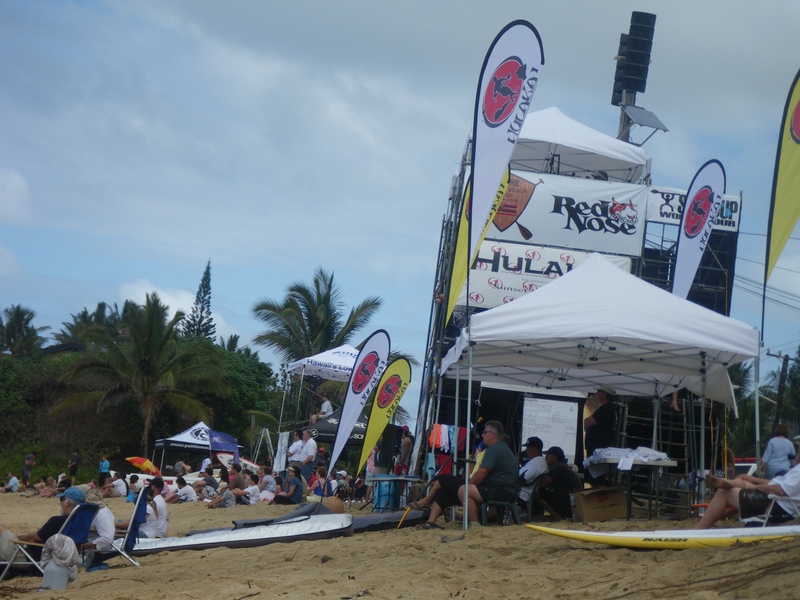 The Sunset Pro SUP big wave event was on. 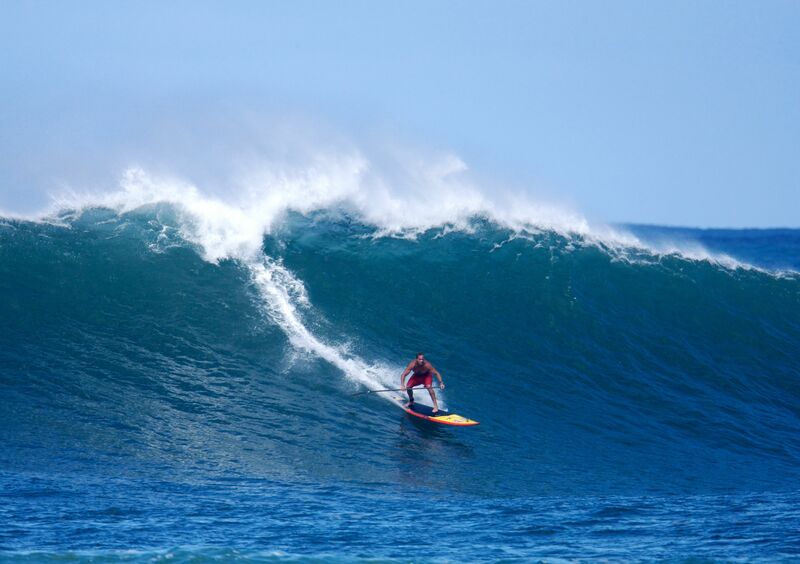 I paddled out with a handful of paddlers to get a crack at a couple big West bombs before the first heat started. Every so often, a set would close out the channel taking out a couple paddlers to the beach and an hour later, only 3 of us were left standing. It was awesome trying to figure out where to position yourself and wait for the bombs without getting steam rolled. My last wave in, was a lucky late air drop on a pretty big set that pealed all the way across the channel almost connecting with the Left at Cammy’s. catching a bomb on the morning of the Sunset Pro SUP event. A perfect day to test the true watermen of the sport. We spent the rest of the afternoon towsurfing at Backyards and Phantoms and called it a day. 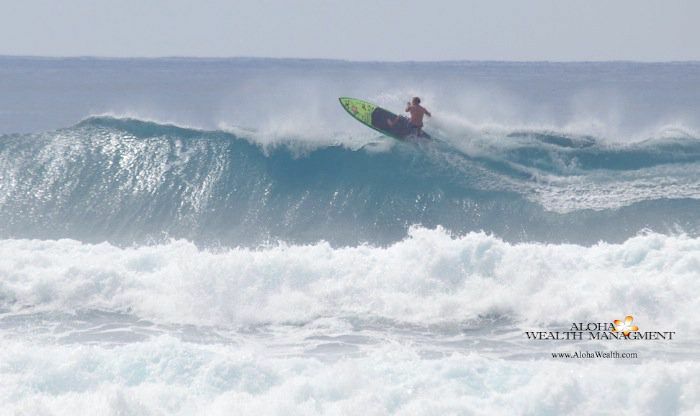 sure enough the next 2 days were super windy and stormy, so Jamie Mitchel and Billy Watson and I motored to the West side for some cleaner fun conditions at Makaha. 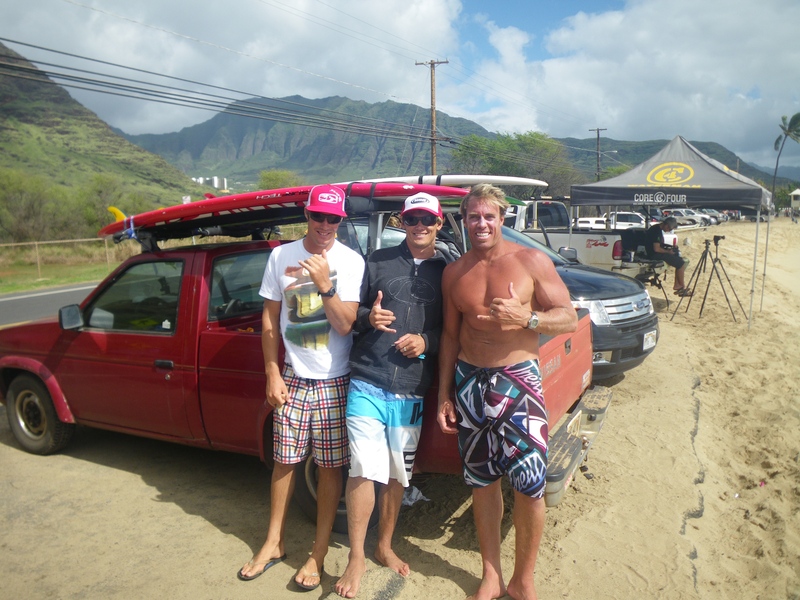 We were blessed with 6′-8′ ft surf and only a handful of guys in the line up. Always a good adventure on the west side. 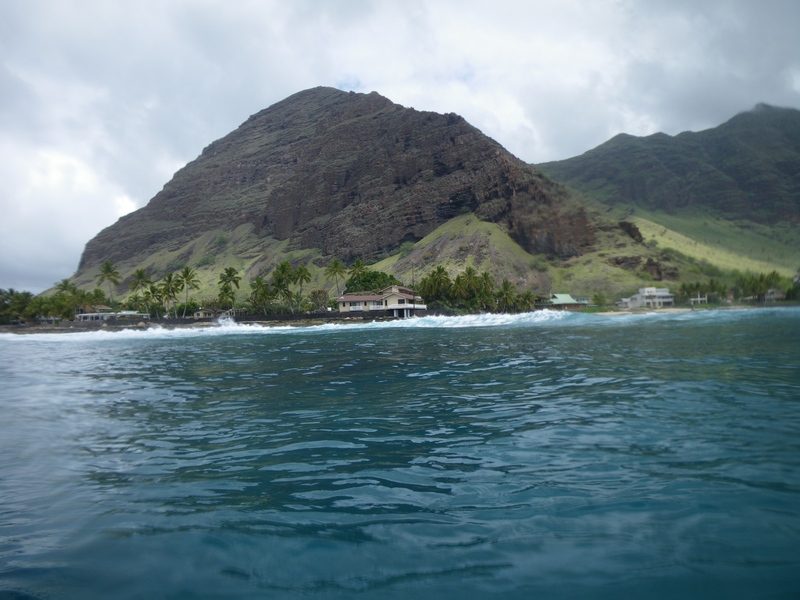 Looking back at the top of the point at Makaha. Woke up early as usual and rode my bike down to check the conditions and see if the event was on at Sunset . The conditions were still pretty messy and the swell had dropped to 8′-10′ ft and with the swell dropping the next couple days the event had to go today. It was a total buzz kill to think how good we had it, but sometimes you just got to go with the flow. The waves were all over the place and you really had to be at the right place at the right time. it was anybodies game. The judges wanted to see you ride the biggest waves yet the small ones were the only ones connecting through to the inside and the bigger sets would just mush out with a couple lucky ones connecting inside. The heats were 30 minutes which went by pretty fast. In my heat posted up outside picking off a couple good sized sets but they never connected and finally I got a good one where i made a couple good turns and did a snap in the bowl section thinking I could ride it out, and dug a rail and got plowed. I noticed that Bonga and the others were sitting more inside getting smaller but good rides and that’s what made the difference. That was pretty frustrating and my worst heat ever; but you have to loose to win and hopefully I got that out of the way for next time. That’s where racing is so much better; first man across the line wins, no politics. 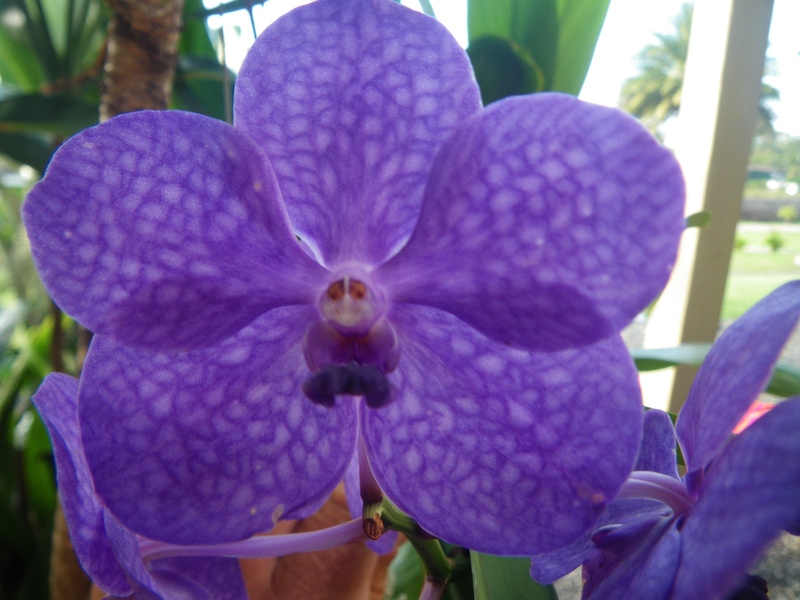 etc….. ha ha.. just have to take it with a smile!!! The one thing that really put a smile on my face, was watching my Hobie team mate and good friend TJ Saeman surf so well making it all the way to the semis. Congrats to him and all the other great athletes that really represented the true watermen style so well. frustrated with the conditions and my choice of wave selection, but all in all it was fun. Now, back to paradise and the finer things in life; hanging at the Jensen family house on the hill with the Saemen brothers…. 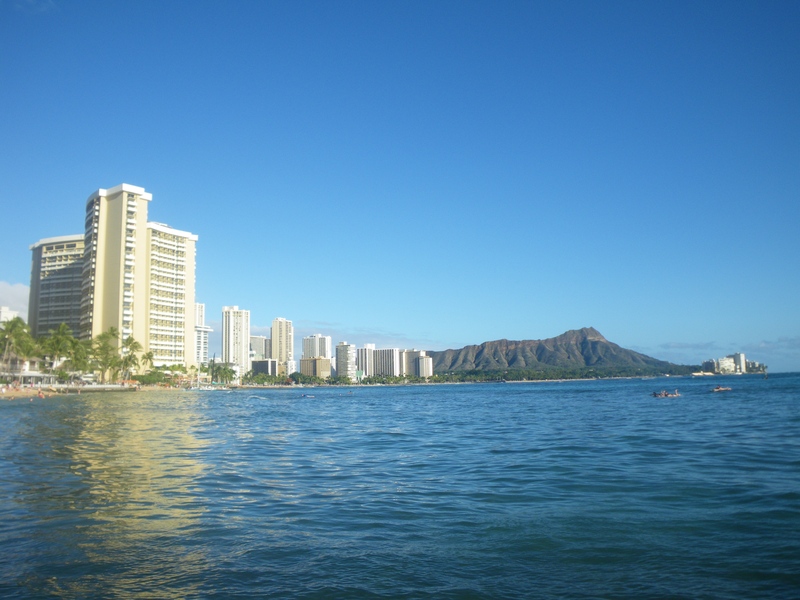 The next morning, the Saeman brothers and I enjoyed some really fun Sunset and got a couple fun ones at Backyards and then early afternoon drove to the South shore to hang with friends and SUP in Waikiki. 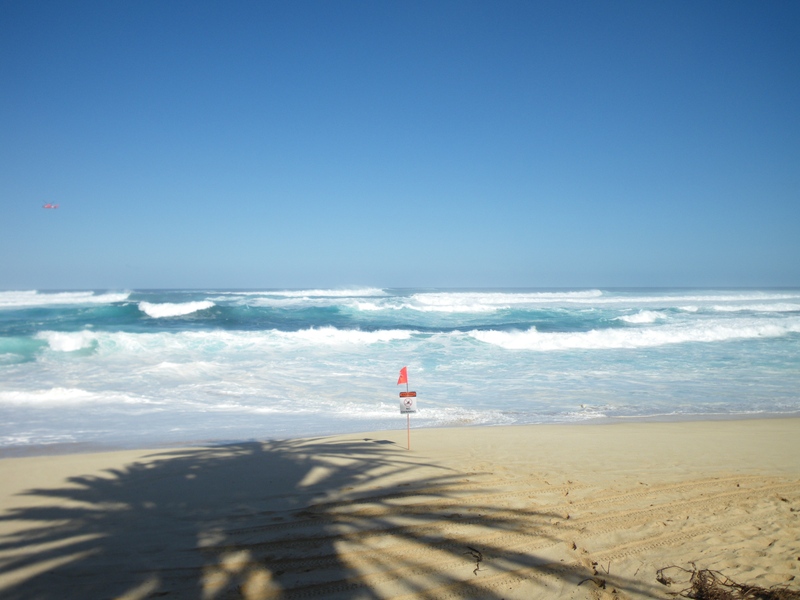 For how crowded the beach was, we got waves everywhere. 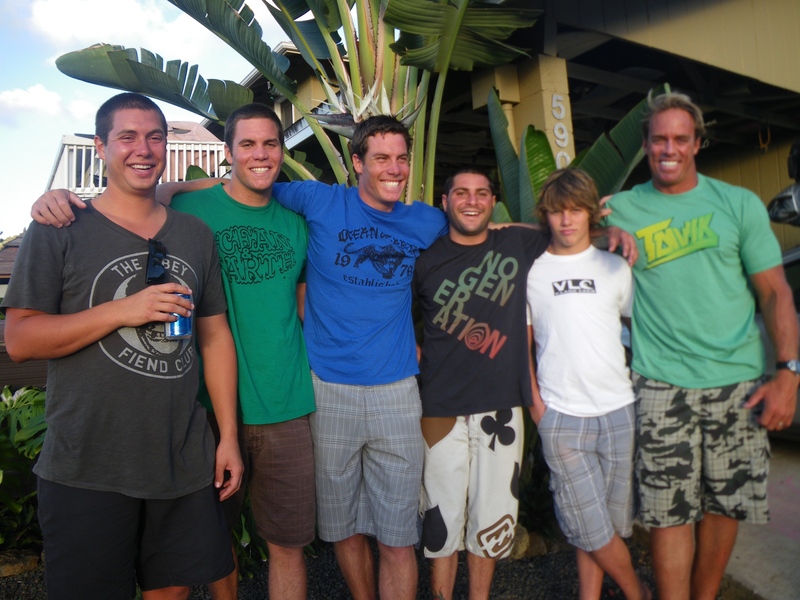 Later I hooked up with the brothers and Candice Applebe and friends and had a couple cold ones at the Sunset pro after party at Lu Lu’s. It was one of the most hilarious nights of people watching with the Saeman brothers I could remember. It’s amazing what a little alcohol does to some people. I love early mornings like this when everyone is hungover and your the only one up and on it. I went for a fun early paddle at Sunset and then caught a couple lefts at Cammy’s and bodysurfed the shore break for a while. A quick ride to Ted’s Bakery for some pastries and maybe a pie, just kidding and then back to the house to see if anyone was actually moving. sure enough the brothers were up making breakfast and talking story about the nights escapades. It was our last day before going back home and checking in with the reality of the real world. I packed up my boards and bags ready to leave for the red eye that night and then we all went down to Sunset for a surf and some last day R&R. 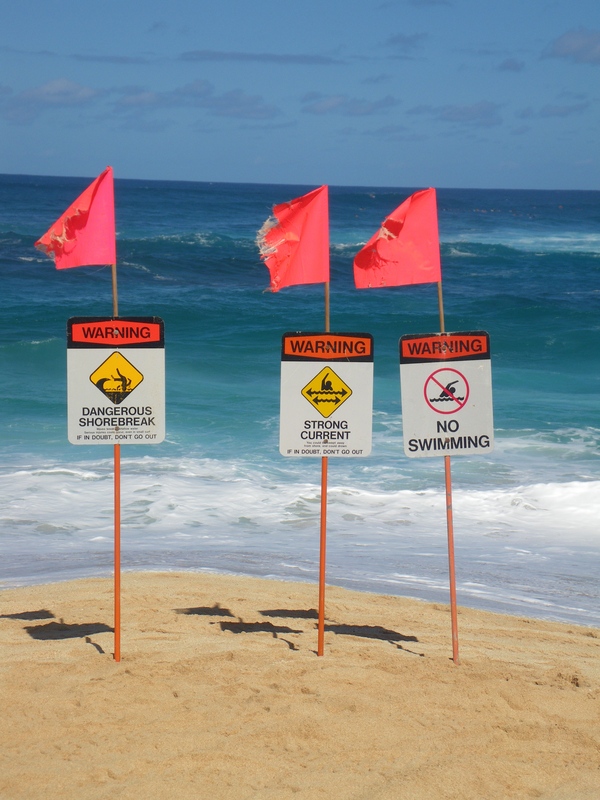 You know your on the North shore when you see these flags. What an awesome fun group of friends to enjoy the North shore with. 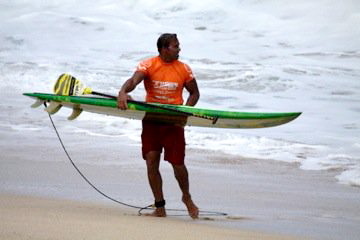 Another great adventure where I challenged myself and put all my hard training to work to enjoy some solid size surf, compete with great watermen and make new friends. 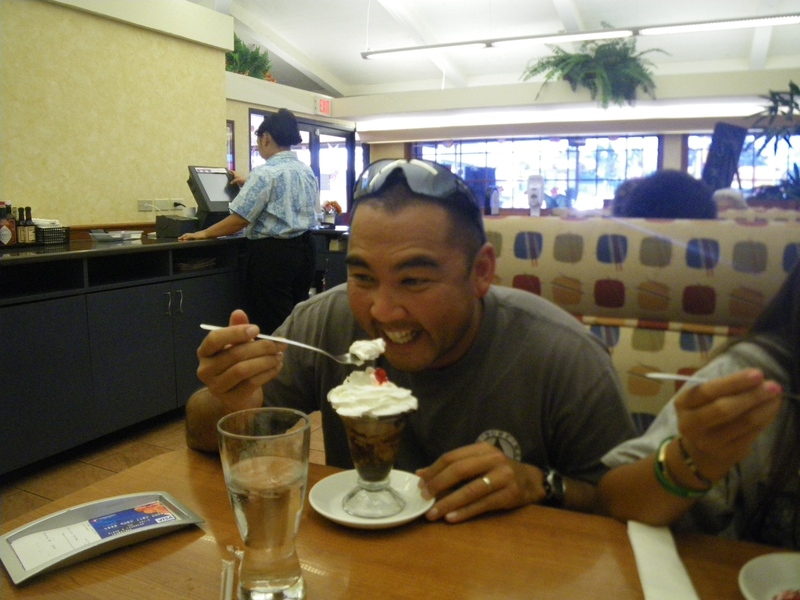 Many thanks to my sponsors and to the Jensen family for sharing their beautiful home in paradise and to Ted’s bakery for all the chocolate Haupia pie…..
stay tuned for another adventure with friends and some more new challenges coming soon……..
Nice piece. I’ll send you some CP photos. I just got my new monitor hooked up and I can now SEE my photos with my old eyes.